THE GIFT OF DYSLEXIA THE PROBLEM ADULT DYSLEXIA WHAT IS ADD/ADHA? My name is Vivienne Carson. 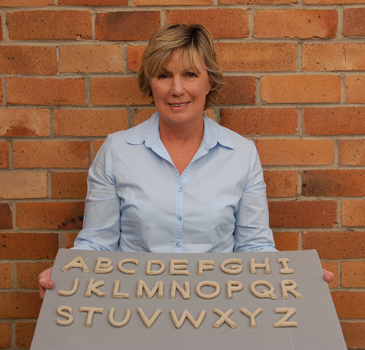 I am a Licensed Davis™ Facilitator based in Auckland, New Zealand and provide the Davis Dyslexia Correction ® Programmes for children and adults who experience difficulties with learning. I am a member of the Dyslexia Foundation of New Zealand, and am one of over 400 licensed Davis Dyslexia Correction providers working in North and South America, Western Europe, the Middle East, Asia, Australia, and New Zealand. People with dyslexia can learn to read, write and study efficiently when they use methods geared to their unique learning style. The Davis® methods recognise dyslexia as a gift, not a disability or something to be cured. They focus on the strengths, not the weaknesses, of the individual, and address the causes for difficulties, not just the symptoms. I provide all Davis Programmes on a one-on-one basis over a period of consecutive days, and each programme is designed to meet the individual's needs and goals. mastered: to have certainty; knowing for sure what something means, looks like or sounds like; knowing how to do something well; knowing without doubt. Please feel free to contact me to find out more about how the programme works.